Homeless women are plagued with many issues: the threat of sexual assault, hunger, and dangerous streets. 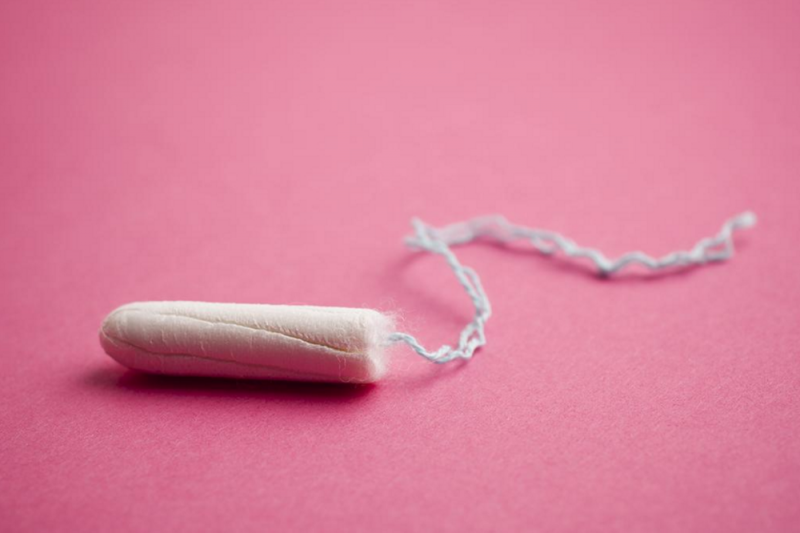 Many homeless women also lack access to menstrual supplies and sometimes have to choose between food or tampons and pads. When women don't have access to tampons and pads, their menstrual hygiene can deteriorate and can cause serious health problems. 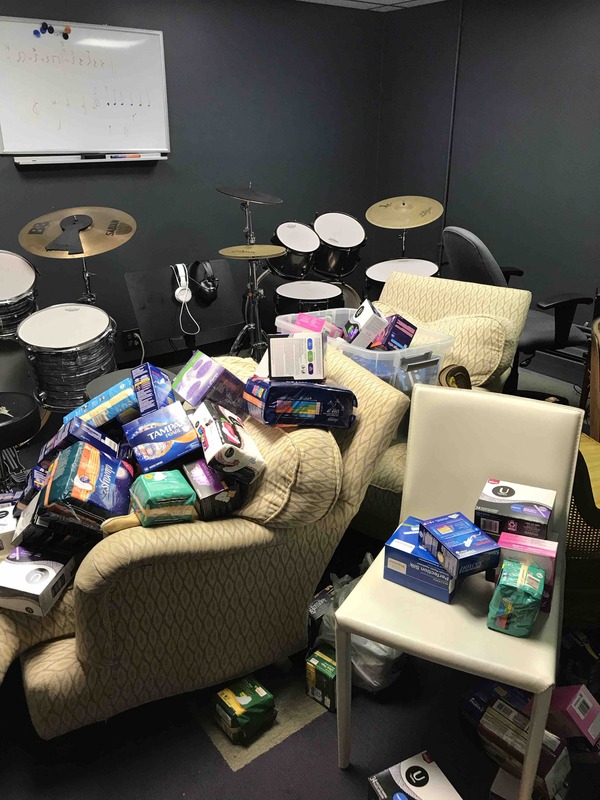 FlowKits' goal is to provide homeless women in west suburban Chicago with dignity and kits full of supplies to help them to feel healthy and clean. Funds from this GoFundMe have supported the project's pilot program (30 kits) and will go toward building up a supply of FlowKits. The project launched in April 2016 and has now cumulatively created and distributed 400 kits to homeless women in the Chicago area. This project began as a simple grant writing assignment for my English class. However, the more I researched the issue, the more passionate I became about wanting to help women have access to this extremely basic need. Your contribution will help a small idea make a big difference. 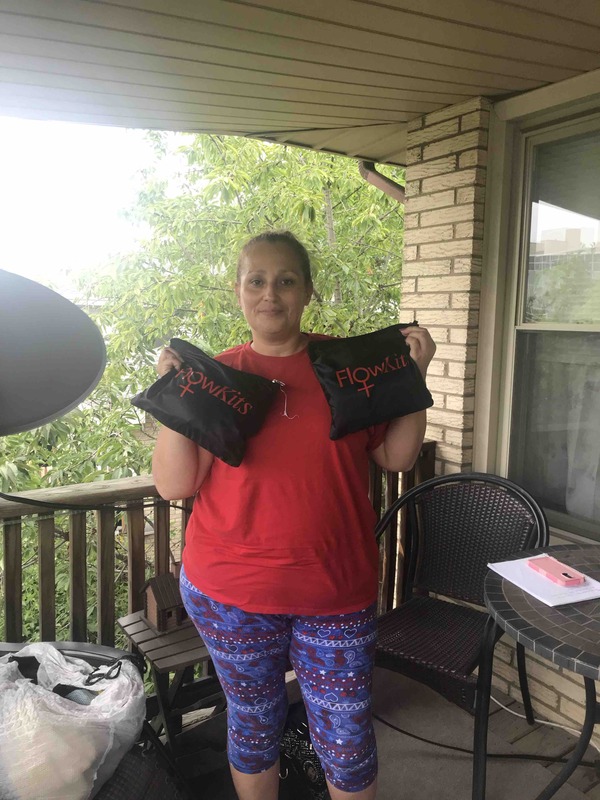 A few weeks ago, FlowKits began supplying menstrual kits to the Never Alone Movement, a street outreach program focused on providing necessities like food and toiletries to homeless people in the city of Chicago. Co-founders Bridget Gallegos and her son do awesome work! Check them out on Facebook at Never Alone Movement! A huge thanks to School of Rock for the Tough as Nails fundraiser last night! Through art sales, they raised $500 for FlowKits, in addition to the 6 huge boxes of menstrual supplies brought as donations. Stay tuned to find out how we use these generous donations! A huge thanks to an Oak Park Girl Scout troop who recently donated almost $900 to FlowKits. This was extremely generous and we are so grateful to them! 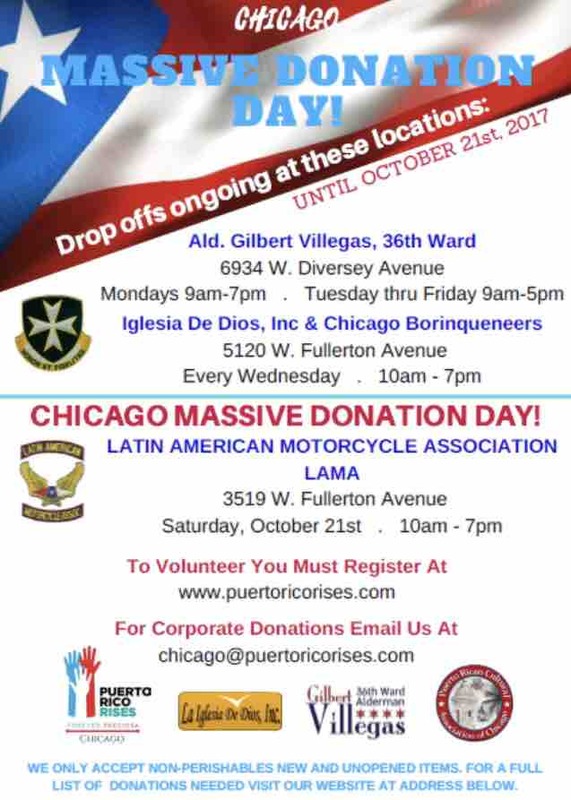 Because Casa Puertorriqueña had already received so many donations, we dropped off a bunch of menstrual hygiene supplies to the Latin American Motorcycle Association for the Puerto Rico Rises massive donation day today. They are accepting donations until 7 pm, so come donate canned food, hygiene supplies, batteries, flashlights, and other essentials to help the victims of Hurricane Maria. Please think about using menstrual cups. They are a one-time cost and last for 5 years. Imagine giving a woman that gift! Not just one month, but 5 years! They carry fewer health risks and create no landfill waste. I started using one last year and am telling everyone! Menstrual cups for homeless??? Where are they going to sterilize them or dump out the contents? I have contacted P & G since my husband works for the company. They emailed a reply with several options for you! All I need is a link to forward this information. Totally amazing! So proud of you! Your work is so amazing! Keep doing what you're doing and the world will be a better place.